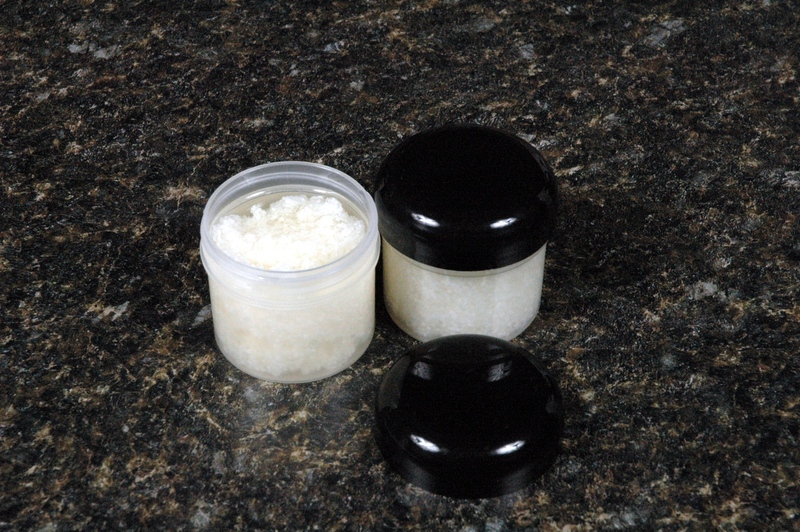 Home » Fast and Simple Gifts » Awesome Salt Scrubs! What about salt scrubs? I decided that we needed to add a salt scrub to our Spa Week. 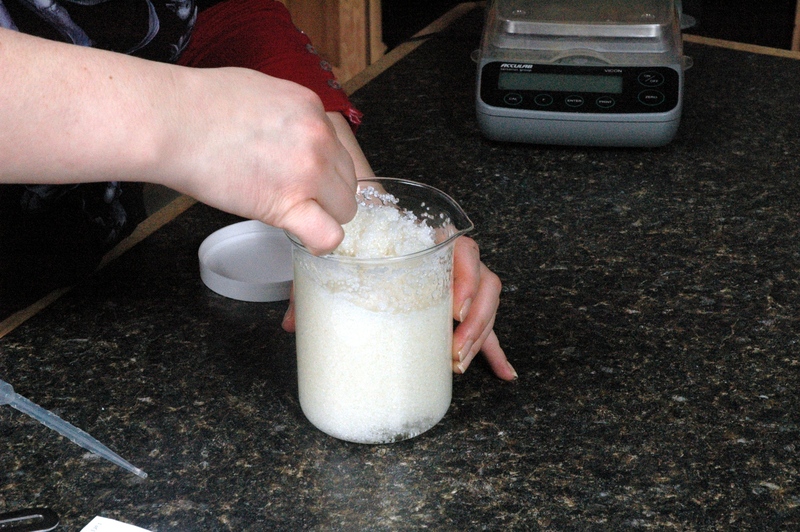 One of the recipes that was in our research and development recipe book is similar to the Body Shop scrubs. The notes that accompany the recipe say people think this recipe is better than the Body Shop Salt Scrubs. I think you will just have to try it yourself to see what you think. 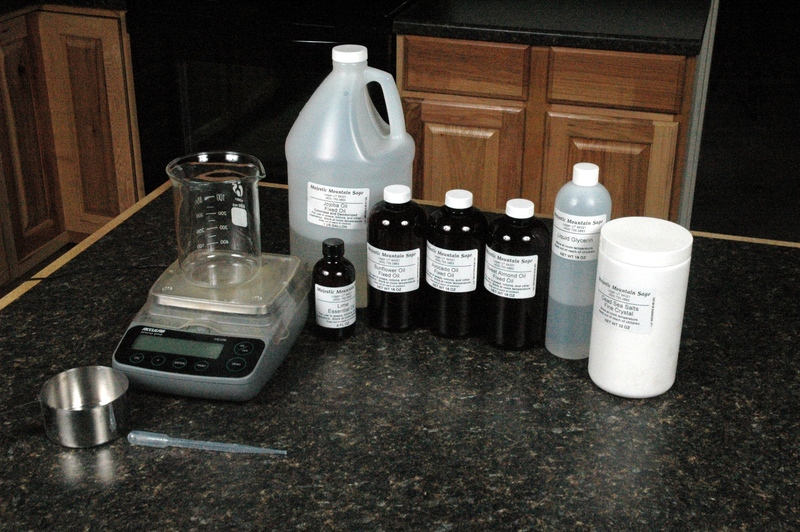 Weigh liquids into mixing bucket. Add salt and mix thoroughly. 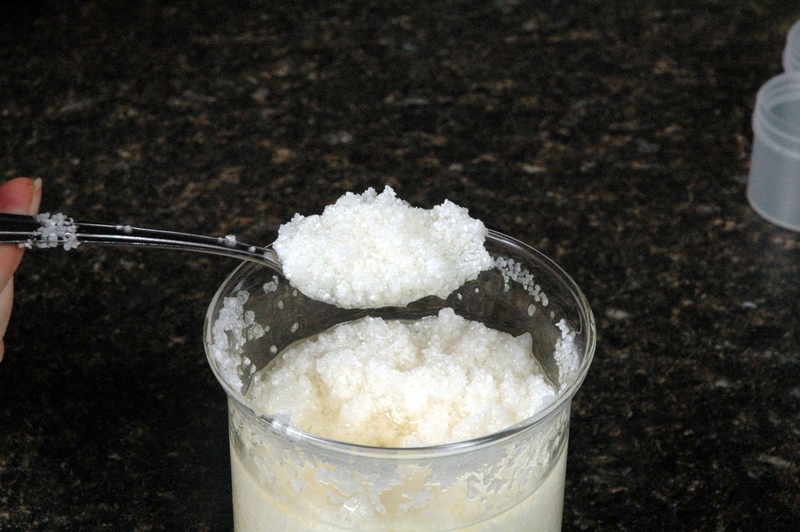 Once mixed, the salt scrub can be put in the containers. I think this scrub would be a great foot scrub, but that could simply be because it reminds me of the scrub my aesthetician uses on my feet when I get a pedicure. The glycerin doesn’t blend with the oils, so don’t worry about the separation because you won’t even notice once the salt has been added. When using, mix well before removing the desired amount of scrub. 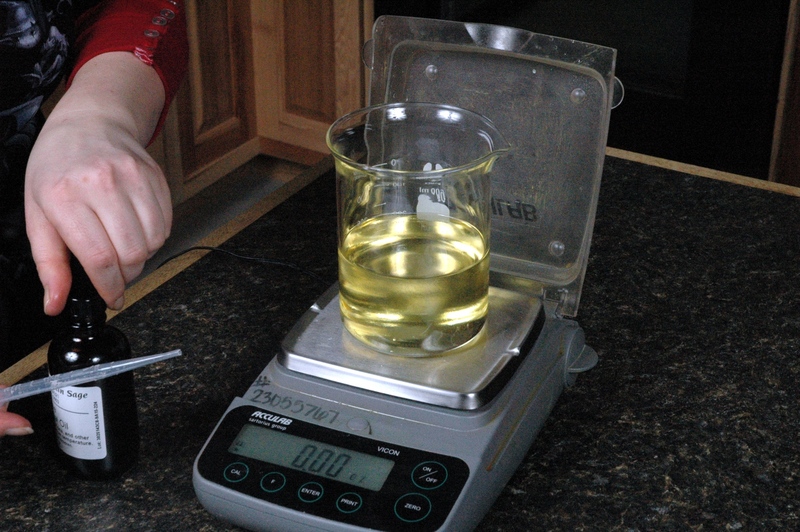 When taking pictures, I made a mistake and weighed out too much Avocado Oil. Therefore, I had to double my recipe. Next week we are going to work on cold process soap. Don’t forget the supplies you will need! Mix salt into oil mixture. Would you need a preservative if you were going to market this salt srub and if so which one? If care is taken to scoop the scrub into a shower/tub dish then I would not use a preservative. The introduction of water from the shower would want LiquaPar to be added. For my own use where I keep the water out, none is used. Thanks, I have some LiquaPar. Will the large size salts I won in the Friday give away work for this scrub if used for the feet only or will the salts be to large? Can’t wait to get the package. I hope it come as quickly as the package I ordered it was here in 4 days. Amazing delivery service y’all have. Thank you! These salts would be best as decorative potpourri salts or as an early addition bath salt as the crystal size can vary from large peas to small grapes!